A few things that I find that really help to keep my oily *cough* aging *cough* skin look fresh, clear and smooth are deep cleansing clay masks and scrubs. I don’t over-use either, as my sensitive skin rebels and freaks out if I use products that are too harsh, or if I use them too often. But weekly or bi-weekly, I like to do a scrub and mask. Not on the same day, and usually a few days apart, as I don’t want to shock my skin. Tip: do scrub, then a day or two later, do the mask. The mask can work better on skin that isn’t clogged with dead skin cells. The facial line of products from Live Clean, Fresh Face, has some very worthwhile products to try, at their fabulous reasonable prices. 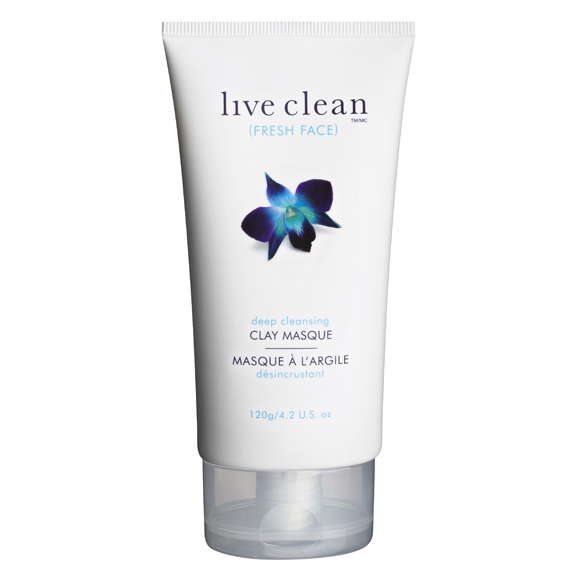 From their site: “Live Clean Fresh Face promises exceptional performance with a minimum of 98% plant-based ingredients. Infused with a combination of Orchid – the eternal youth flower, anti-oxidant Vitamin C and Certified Organic Botanicals”. Based around the brightening and tone improving power of Vitamin C, these are definitely worth trying. 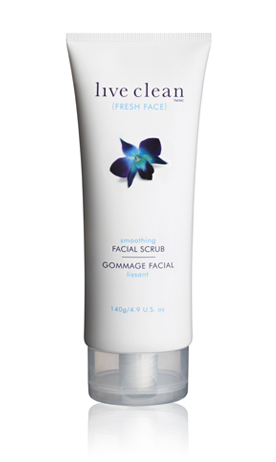 My latest fave scrub is from Live Clean’s Fresh Face line, their Smoothing Facial Scrub. 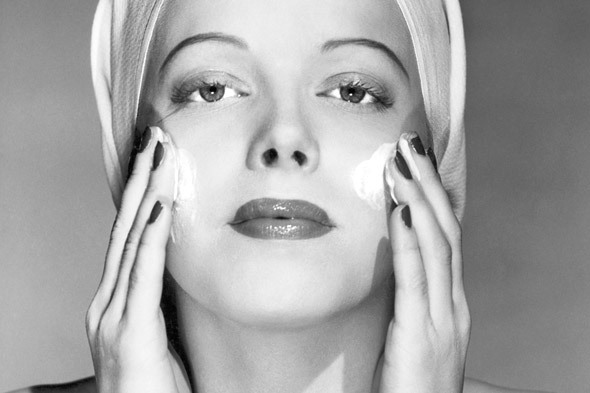 It uses natural grains of finely ground Corn Cob to remove dead skin cells and vitamin C to brighten and add radiance. Lovely soothing stuff like aloe, chamomile, buckthorn, and cucumber calm the lovely fresh skin that is left behind after sloughing off the dead dry and dull skin on the surface. I use it once a week at the most, and find it makes a big difference in helping my skin absorb other treatments like moisturizer, and also lets make up sit better on the smoother surface. A tiny bit goes a long way as well. I use a drop or two on my lips to get rid of dry dead skin, and along my bikini line to help exfoliate and avoid ingrowns. Knowing how gentle and pure Fresh Face Smoothing Facial Scrub is makes me feel better about using it in delicate areas. I love using a clay mask to deep clean pores and to brighten my skin. Makes my skin feel like I’ve had a facial and feeling squeaky clean. Especially if I’ve been wearing more make up than usual, sweating a lot, or driving around with the top down in the air with goodness knows what all flying around. Live Clean Fresh Face Deep Cleansing Clay Masque is the perfect solution for that. It only takes around 15 minutes max for this mask to do it’s work. Formulated with natural Kaolin, it deep cleans to remove impurities, absorbs excess surface oil while calming the skin. Like the Fresh Face Scrub, the Clay Masque also has brightening Vitamin C, and aloe, chamomile, buckthorn and cucumber to calm and sooth skin as well, so all that is left behind is a glow. Fresh Face Facial Scrub is $19.99 and the Deep Cleansing Clay Mask is $14.99. In Canada, Live Clean is sold at drugstores and Walmart. At this time, only the Live Clean Baby line is available in the United States, although www.well.ca sells the entire Live Clean line including Fresh Face, and they ship to the US.